1/2 oz. 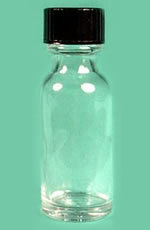 Glass Bottle with lid. Color of lid may vary.